Hurricanes are major storms which have sustained winds of at least 74 miles per hour (mph) and form over oceans. While all hurricanes mean potential harm to people and property, not all hurricanes are of equal strength. Some are relatively weak. Others create damage of catastrophic proportions. Thankfully, we can usually get an idea as to how much wind damage will likely occur and how many people to evacuate before a hurricane actually makes landfall. One of the best ways to assess a hurricane’s strength and potential damage is to use the Saffir-Simpson Hurricane Scale to help make preparing for hurricanes and evacuating from hurricanes more efficient. The Saffir-Simpson Hurricane Scale is named for Herbert Saffir (a noted civil engineer) and Dr. Robert Simpson (a former director of the National Hurricane Center). This hurricane scale has been in wide use since the 1970s. Until 2008, the Saffir-Simpson scale factored in such things as storm surge and central pressure. The Saffir-Simpson scale now attempts to categorize primarily wind speeds and is now being called the “experimental” Saffir-Simpson Hurricane Wind Scale. Wind speeds are measured from a height of 33 feet. The National Weather Service takes the average sustained wind speed over the duration of 1 minute. There are 5 categories of wind strength according to the Saffir-Simpson Hurricane Scale. Hurricane with sustained wind speeds of 74 mph to 95 mph are classified as Category 1 strength. Category 1 hurricanes can cause damage to unanchored mobile homes and some signs. Loose outdoor objects (like lawn furniture) can become projectiles and make matters worse, as flying debris can break windows and strike people and cars. Trees can also be severely damaged by Category 1 hurricane winds, with large branches breaking and some trees being completely uprooted. Power outages may result. Category 2 hurricanes have winds of 96 to 110 mph. A major problem with Category 2 hurricanes is that winds are strong enough to break power poles, which can in turn create blackouts. Category 2 hurricane winds can also cause damage to residential roofs, windows, and doors. Even windows in big buildings like skyscrapers can be damaged and broken. Any hurricane of Category 3 strength or higher is considered a “major” hurricane. 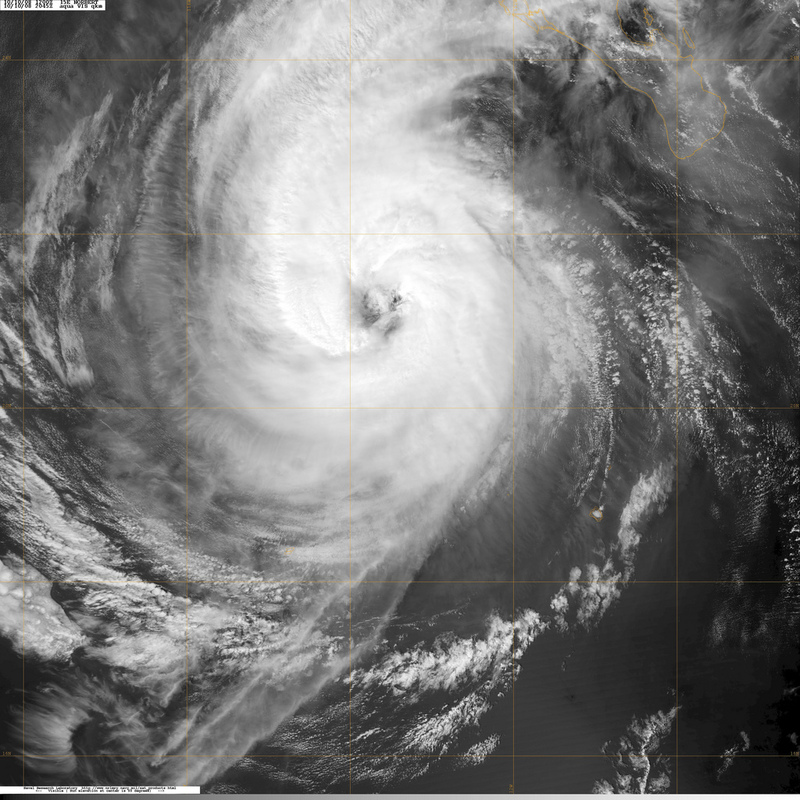 A Category 3 hurricane has winds of 111 to 130 mph. Along with the type of damage noted above also comes the destruction of some buildings, particularly unanchored or older mobile homes. Other small buildings like sheds and detached garages can also be damaged and destroyed by Category 3 winds. Blackouts may cover large areas. Category 4 hurricanes are very strong, with winds of 131 to 155 mph. Many types of buildings, including houses, mobile homes, and stores can suffer extreme damage and even destruction. Signs are also destroyed. Trees are snapped and uprooted. Blackouts will be long and widespread. A Category 5 hurricane packs winds of more than 155 mph. Category 5 hurricanes cause absolute devastation. Most buildings in the path of the eye of a landfalling Category 5 hurricane are damaged or destroyed. Trees are blown over. Signs are destroyed. Power lines are knocked over. Some towns hit by Category 5 hurricanes take years to recover, as was the case with Homestead, Florida, which suffered catastrophic devastation after Hurricane Andrew hit in 1992. Was Hurricane Katrina A Category 5 Hurricane? Many people look at the catastrophic damage done to New Orleans and the surrounding Gulf Coast during Hurricane Katrina in 2005 and assume the storm had to be a Category 5 storm. They’re right — and wrong. Hurricane Katrina was, briefly during its path over the Gulf of Mexico, a Category 5 hurricane. However, the storm had actually begun weakening right before it hit the New Orleans area, with winds topping out during landfall at Category 3 — still very strong, but not strong enough to qualify as Category 5. What About Category 6 Hurricanes? While you may have heard some in the media refer to Category 6 hurricanes (for example, with Hurricane Wilma in 2005 and Hurricane Irma in 2017), there is no official use of that category right now. The Saffir-Simpson Hurricane Wind Scale (which measures hurricane-force winds on a scale ranging from 1 through 5) only goes to 5. So no, there is no Category 6 — nor are there currently any plans to modify the hurricane wind scale to include a Category 6 hurricane ranking. However, some scientists who have proposed the idea of adding Category 6 to the Hurricane Scale say that a few, rare hurricanes have had winds high enough to warrant their own, new, stronger hurricane wind-speed category. Should Category 6 ever become an official classification on a hurricane wind scale, it would likely include hurricanes with winds of 175-180 mph or greater.